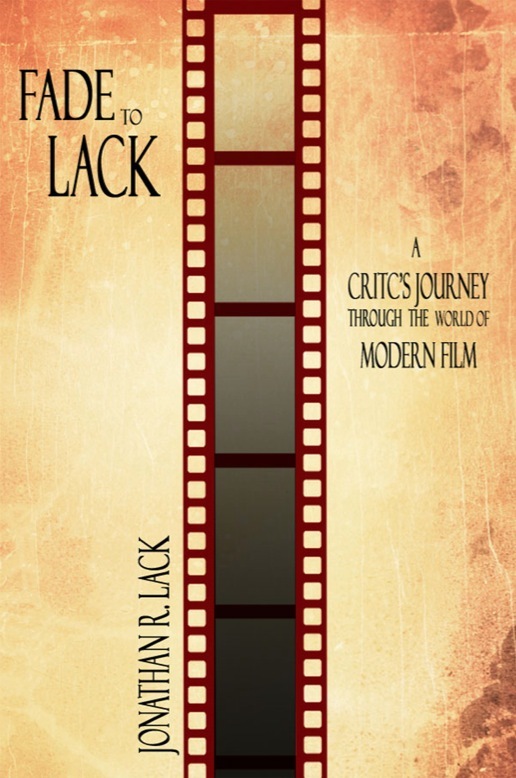 Announcing "Fade To Lack: A Critic's Journey Through the World of Modern Film," a new book by Jonathan Lack! I am delighted to finally announce the culmination of a project I have spent a very long time working on: The publication of my very first book! It is called Fade to Lack: A Critic's Journey Through the World of Modern Film, and can be purchased today, in paperback, from Amazon.Com or directly from the publisher. You can also visit the book's official website, www.fadetolack.com, to learn all the details on this very special project! As the title suggests, this book is a chronicle of my personal journey as a film critic. I began reviewing movies, in conjunction with The Denver Post, when I was only 10 years old, and Fade to Lack - named after my YourHub print column - is a record of the best and most significant work I have done, or discoveries I have made, over the course of this incredible adventure studying cinema. But Fade to Lack is about so much more than just me. The book is an extensive and insightful critical survey of contemporary American cinema, composed of 55 movie reviews, numerous analytical essays on many significant films – both classic and recent – and major, multi-chapter explorations of pop-culture phenomena like Harry Potter, Twilight, and The Hunger Games. The book has been designed both for casual readers seeking compelling writing about film as well as those in need of scholarly, critical reference on modern movies, and can be read, enjoyed, and used in a variety of ways. And while much of this material is collected from my previous writings, there are many compelling reasons to read the book even for those who have read some of these reviews and essays before. In addition to a substantial amount of new material in the Preface, Introduction, and first part, there is new retrospective commentary and original section introductions included throughout, and all previously published articles have been revised, polished, and annotated to better function as scholarly writings. Most importantly, much of the book’s best material – such as Priori Incantatem: Harry Potter Memories or any review from 2009 to the first half of 2011 – are no longer available online, as they were removed from YourHub following the site’s 2011 redesign. For the most part, this book is the best and only place to find many of these writings, all presented in better quality than ever before. As another awesome bonus, Fade to Lack includes original cover artwork and seven original illustrations, all by my good - and extremely talented friend - Shannon Wheeler. It has been a lifelong dream of mine to publish a book, and I am extremely proud of everything Fade to Lack has to offer. I hope you enjoy it as well, and I could not be more excited to finally share this work with all my friends, family, and loyal readers. So if you are interested, please head over to Amazon.Com, or directly to the publisher, or to the book's official website, www.fadetolack.com, to purchase a copy of Fade to Lack. And if you have any questions or comments, please do not hesitate to e-mail me (at dinochow@jonathanlack.com) or contact me on Twitter, @JonathanLack.